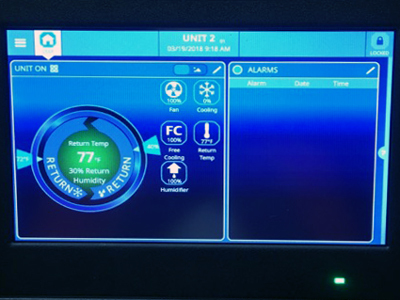 New controls for the HVAC units and chillers allow units to be grouped in different segments of the data center, and variable-speed technologies reduce cost. Operating a data center efficiently comes with a host of complex challenges. 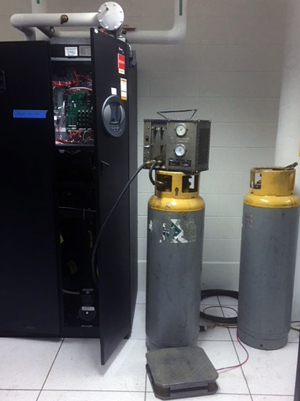 But thanks to work led by Mark Linsenman, communications and data centers manager for ITS Infrastructure Services, and the Data Center Services team, the Michigan Academic Computing Center (MACC) now consumes less energy without compromising performance. “These energy-efficiency improvements will significantly reduce the carbon footprint and costs of operating power-intensive research systems,” said Brock Palen, director of Advanced Research Computing – Technology Services (ARC-TS). Specific upgrades include variable-speed pumps, which help deliver sufficient cooling while running slower, thus consuming less energy. 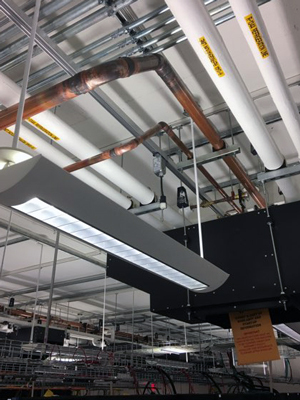 Linsenman is also beginning to install “cold aisle containment,” an air containment technique that can improve the predictability and efficiency of the data center’s cooling system by minimizing the mixing of hot and cold air. 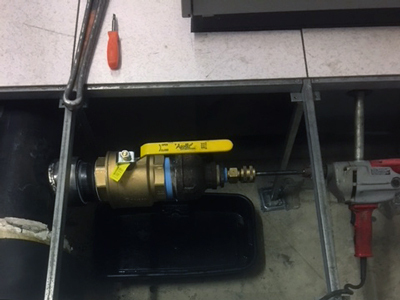 New controls and temperature sensors will automate the process to focus and maintain cold air in server rows where it is needed most. Two new chillers have also been added. Round-the-clock operation of chillers is crucial given the considerable heat produced by so many servers in close proximity. Without chillers, temperatures would quickly rise to levels that would corrupt data and destroy hardware. 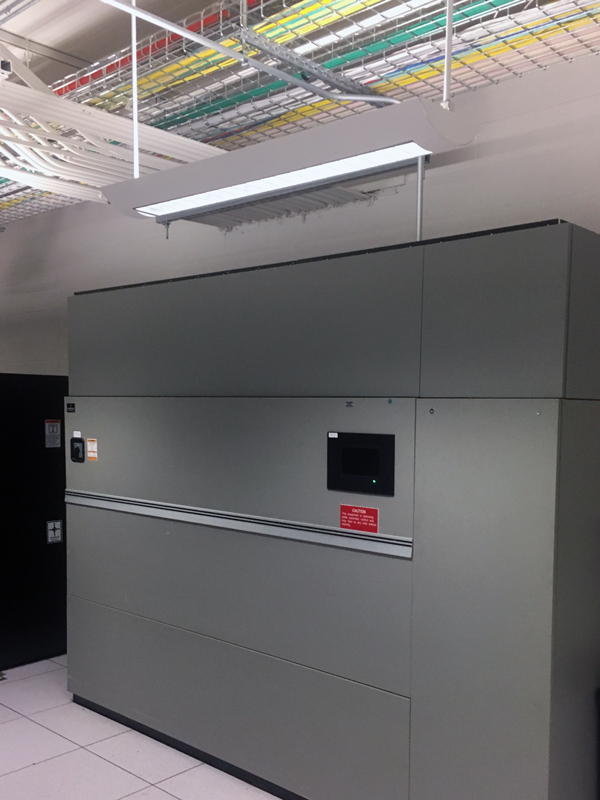 Combined with efficiencies gained by decommissioning old systems, these improvements bring the power and cooling capacity available to ARC-TS and research computing up to 1 megawatt. 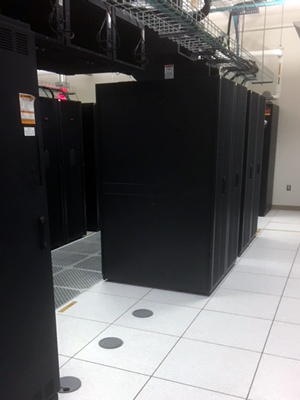 U-M’s research computing footprint continues to grow to use this capacity in the MACC data center. ITS is working to free up additional capacity for research computing in its ongoing effort to move ITS systems to the cloud.